Clark Seif Clark provides testing and consulting services to identify and resolve indoor environmental quality issues associated with flood damage. Although flooding can happen anywhere, certain areas are especially prone to serious flooding. According to the National Flood Insurance Program (NFIP), a flood is a general and temporary condition where two or more acres of normally dry land or two or more properties are inundated by water or mudflow. There are many natural and manmade conditions that can result in a flood. They include hurricanes, overtopped levees, outdated or clogged drainage systems and the rapid accumulation of rainfall. Regardless of the cause, a flood can cause devastating damage to a home or business so it’s important that people understand flood risks in their area, especially since most standard homeowners insurance policies don’t cover it. Although flooding can happen anywhere, certain areas are especially prone to serious flooding. To help communities understand their risk, Flood Insurance Rate Maps (FIRMs) have been created to show the locations of high-risk, moderate- to low-risk and undetermined-risk areas. In moderate- to low-risk areas, the risk of being flooded is reduced, but not completely removed. Flood insurance isn’t federally required in moderate- to low-risk areas, but it is recommended for all property owners and renters. 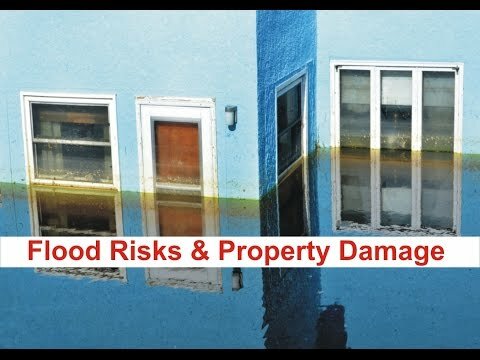 Residential, commercial and institutional properties with flood damage frequently encounter more than just damaged building materials, belongings or even structural damage. Indoor environmental issues ranging from mold and bacteria to chemical contaminants are common. Older properties with lead-based paints and asbestos-containing materials are also a potential hazard during cleanup, demolition and repair activities. To learn more about this or other property damage, indoor air quality, occupational, environmental, health and safety testing services, please visit www.csceng.com, email csc@csceng.com or call (800) 807-1118.